Photographer: Ralph W. Robertson. c. 1887. Born in Worcester on 1 March 1847. Apprentice modeller at Worcester Royal Porcelain Works 1859-66. Entered studio of J.H.Foley in 1866 and enrolled in R.A. Schools in 1868, winning Gold Medal for Hercules strangling Antaeus the following year. 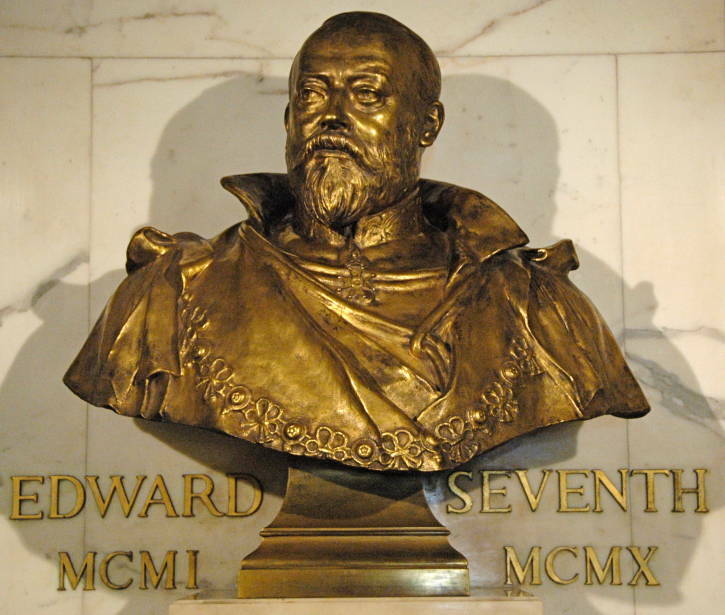 This attracted the interest of Frederic Leighton, who became Brock's friend and mentor. Appointed as Foley's chief assistant in 1871, he completed many unfinished works after Foley's death in 1874 e.g. 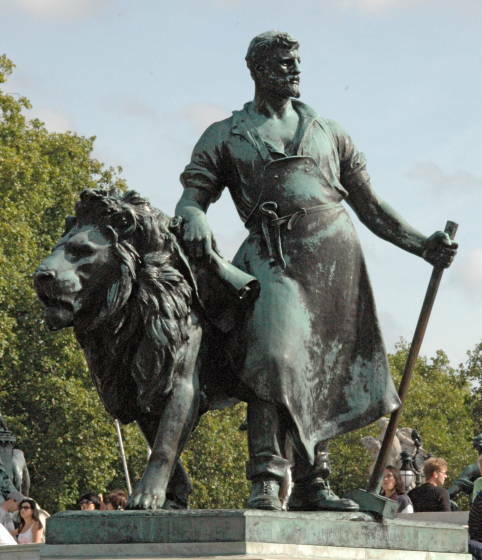 the bronze figure of the Prince Consort for the Albert Memorial, and the O'Connell Monument in Dublin. 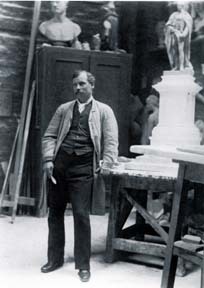 Sir Aston Webb, 1922 R.A.
British Sculpture, 1850-1914. Exhibition catalogue, The Fine Art Society, 148 New Bond Street London Wl. 30th September - 30th October 1968. Getsy, David. Body Doubles: Sculpture in Britain, 1877-1905. New Haven: Yale University Press, 2004. Read, Benedict. 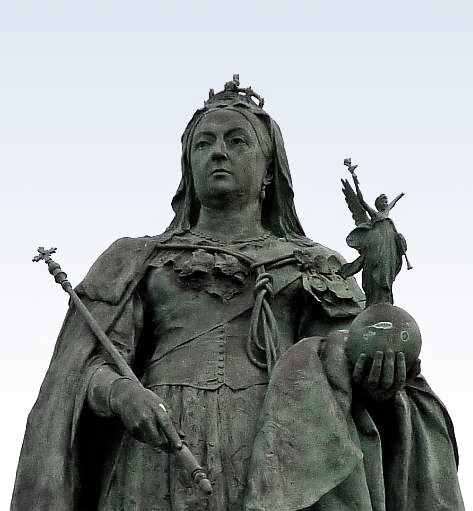 Victorian Sculpture,. New Haven: Yale University Press, 1982.